Tile 3D Gallery is a plug-ins for Adobe Lightroom which allow making instant gallery. Now photographers can make their own stylish 3D tile gallery without using Flash. With extremely "easy-to-use" interface, just a few click from the interface to create a gallery. And that's it! You just need 1 mintue to convert your photo collection to 3d photo gallery with smooth transition, mirror, transparent effect. Photos can show in slideshow mode. 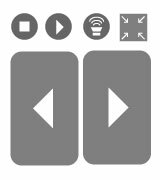 Control buttons, slide interval can all be customized. The gallery support download full size image from gallery. Or, you can specify weblink for each photo. 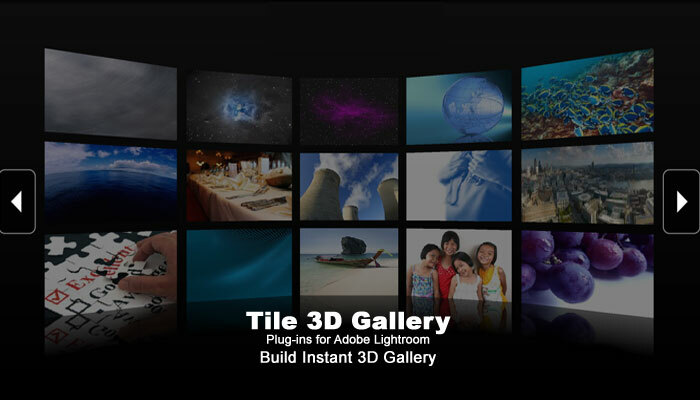 Easy to Install - Tile 3D Gallery comes with self-extract installer which copy the plug in into Lightroom automatically and create shortcut for help documents.